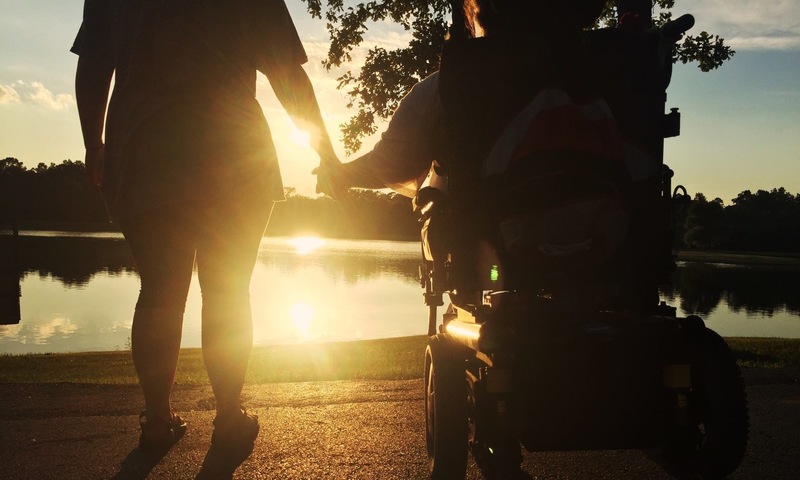 Cerebral palsy, also referred to as CP, is a term used to describe a group of chronic conditions affecting body movement and muscle coordination. It is caused by damage to one or more specific areas of the brain, usually occurring during fetal development; before, during, or shortly after birth; or during infancy. Thus, these disorders are not caused by problems in the muscles or nerves. Instead, faulty development or damage to motor areas in the brain disrupt the brain’s ability to adequately control movement and posture. “Cerebral” refers to the brain and “palsy” to muscle weakness/poor control. Cerebral palsy itself is not progressive (i.e. brain damage does not get worse); however, secondary conditions, such as muscle spasticity, can develop which may get better over time, get worse, or remain the same. Cerebral palsy is not communicable. It is not a disease and should not be referred to as such. Although cerebral palsy is not “curable” in the accepted sense, training and therapy can help improve function. In the 1860s, an English surgeon named William Little wrote the first medical descriptions of a puzzling disorder that affected children in the first years of life, causing stiff, spastic muscles in their legs and to a lesser degree, their arms. These children had difficulty grasping objects, crawling, and walking. They did not get better as they grew up nor did they become worse. Their condition, which was called Little’s disease for many years, is now known as spastic diplegia. It is one of several disorders that affect control of movement due to developmental brain injury and are grouped together under the term cerebral palsy. Despite Freud’s observation, the belief that birth complications cause most cases of cerebral palsy was widespread among physicians, families, and even medical researchers until very recently. In the 1980s, however, scientists analyzed extensive data from a government study of more than 35,000 births and were surprised to discover that such complications account for only a fraction of cases–probably less than 10 percent. In most cases of cerebral palsy, no cause of the factors explored could be found. These findings from the National Institute of Neurological Disorders and Stroke (NINDS) perinatal study have profoundly altered medical theories about cerebral palsy and have spurred researchers to explore alternative causes. Cerebral palsy is characterized by an inability to fully control motor function, particularly muscle control and coordination. Depending on which areas of the brain have been damaged, one or more of the following may occur: muscle tightness or spasticity; involuntary movement; disturbance in gait or mobility, difficulty in swallowing and problems with speech. In addition, the following may occur: abnormal sensation and perception; impairment of sight, hearing or speech; seizures; and/or mental retardation. Other problems that may arise are difficulties in feeding, bladder and bowel control, problems with breathing because of postural difficulties, skin disorders because of pressure sores, and learning disabilities. Cerebral palsy is not a disorder with a single cause, like chicken pox or measles. It is a group of disorders with similar problems in control of movement, but probably with a variety of causes. Congenital cerebral palsy, results from brain injury during intra-uterine life. It is present at birth, although it may not be detected for months. It is responsible for about 70% of children who have cerebral palsy. An additional 20 % are diagnosed with congenital cerebral palsy due to a brain injury during the birthing process. In most cases, the cause of congenital cerebral palsy is unknown. On the other hand, in the United States, about 10 percent of children who have cerebral palsy acquire the disorder after birth. (The figures are higher in underdeveloped countries.) Acquired cerebral palsy results from brain damage in the first few months or years of life and can follow brain infections, such as bacterial meningitis or viral encephalitis, or the results of head injury — most often from a motor vehicle accident, a fall, or child abuse. A large number of factors, which can injure the developing brain, may produce cerebral palsy. A risk factor is not a cause; it is a variable which, when present, increases the chance of something occurring — in this case, cerebral palsy. Just because a risk factor is present does not mean cerebral palsy WILL occur; nor does the absence of a risk factor mean that cerebral palsy will NOT occur. If a risk factor is present, it serves to alert parents and physicians to be even more observant to the infant’s development. Risk factors for cerebral palsy include the following: premature birth; low birth weight; inability of the placenta to provide the developing fetus with oxygen and nutrients; lack of growth factors during intra-uterine life; RH or A-B-O blood type incompatibility between mother and infant; infection of the mother with German measles or other viral diseases in early pregnancy; bacterial infection of the mother, fetus or infant that directly or indirectly attack the infant’s central nervous system; prolonged loss of oxygen during the birthing process and severe jaundice shortly after birth. Are There Different Types of Cerebral Palsy? Yes. Spastic diplegia, the disorder first described by Dr. Little in the 1860s, is only one of several disorders called cerebral palsy. Today doctors classify cerebral palsy into three principal categories—spastic, athetoid, and ataxic,—according to the type of movement disturbance. A fourth category can be a mixture of these types for any individual. Spastic cerebral palsy. In this form of cerebral palsy, which affects 70 to 80 percent of patients, the muscles are stiffly and permanently contracted. Doctors will often describe which type of spastic cerebral palsy a patient has based on which limbs are affected, i.e spastic diplegia (both legs) or left hemi-paresis (the left side of the body). The names given to these types combine a Latin description of affected limbs with the term plegia or paresis, meaning paralyzed or weak. In some cases, spastic cerebral palsy follows a period of poor muscle tone (hypotonia) in the young infant. Athetoid, or dyskinetic cerebral palsy. This form of cerebral palsy is characterized by uncontrolled, slow, writhing movements. These abnormal movements usually affect the hands, feet, arms, or legs and, in some cases, the muscles of the face and tongue, causing grimacing or drooling. The movements often increase during periods of emotional stress and disappear during sleep. Patients may also have problems coordinating the muscle movements needed for speech, a condition known as dysarthria. Athetoid cerebral palsy affects about 10 to 20 percent of patients. Ataxic cerebral palsy. This rare form affects the sense of balance and depth perception. Affected persons often have poor coordination; walk unsteadily with a wide-based gait, placing their feet unusually far apart; and experience difficulty when attempting quick or precise movements, such as writing or buttoning a shirt. They may also have intention tremor. In this form of tremor, beginning a voluntary movement, such as reaching for a book, causes a trembling that affects the body part being used and that worsens as the individual gets nearer to the desired object. The ataxic form affects an estimated 5 to 10 percent of cerebral palsy patients. Mixed forms. It is not unusual for patients to have symptoms of more than one of the previous three forms. The most common mixed form includes spasticity and athetoid movements but other combinations are also possible. Early signs of cerebral palsy usually appear before 18 months of age, and parents are often the first to suspect that their infant is not developing motor skills normally. Infants with cerebral palsy are frequently slow to reach developmental milestones, such as learning to roll over, sit, crawl, smile, or walk. This is sometimes called developmental delay. Some affected children have abnormal muscle tone. Decreased muscle tone is called hypotonia; the baby may seem flaccid and relaxed, even floppy. Increased muscle tone is called hypertonia, and the baby may seem stiff or rigid. In some cases, the baby has an early period of hypotonia that progresses to hypertonia after the first 2 to 3 months of life. Affected children may also have unusual posture or favor one side of their body. Parents who are concerned about their baby’s development for any reason should contact their physician, who can help distinguish normal variation in development from a developmental disorder. Doctors diagnose cerebral palsy by testing an infant’s motor skills and looking carefully at the mother’s and infant’s medical history. In addition to checking for those symptoms described above — slow development, abnormal muscle tone, and unusual posture — a physician also tests the infant’s reflexes and looks for early development of hand preference. Reflexes are movements that the body makes automatically in response to a specific cue. For example, if a newborn baby is held on its back and tilted so the legs are above its head, the baby will automatically extend its arms in a gesture, called the Moro reflex, that looks like an embrace. Babies normally lose this reflex after they reach 6 months, but those with cerebral palsy may retain it for abnormally long periods. This is just one of several reflexes that a physician can check. Doctors can also look for hand preference—a tendency to use either the right or left hand more often. When the doctor holds an object in front and to the side of the infant, an infant with hand preference will use the favored hand to reach for the object, even when it is held closer to the opposite hand. During the first 12 months of life, babies do not usually show hand preference. But infants with spastic hemiplegia, in particular, may develop a preference much earlier, since the hand on the unaffected side of their body is stronger and more useful. The next step in diagnosing cerebral palsy is to rule out other disorders that can cause movement problems. Most important, doctors must determine that the child’s condition is not getting worse. Although its symptoms may change over time, cerebral palsy by definition is not progressive. If a child is continuously losing additional motor skills, the problem more likely springs from elsewhere—including genetic diseases, muscle diseases, disorders of metabolism, or tumors in the nervous system. The child’s medical history, special diagnostic tests, and, in some cases, repeated check-ups can help confirm that other disorders are not at fault. The doctor may also order specialized tests to learn more about the possible cause of cerebral palsy. One such test is computed tomography, or CT, a sophisticated imaging technique that uses X rays and a computer to create an anatomical picture of the brain’s tissues and structures. A CT scan may reveal brain areas that are underdeveloped, abnormal cysts (sacs that are often filled with liquid) in the brain, or other physical problems. With the information from CT scans, doctors may be better equipped to judge the long-term outlook for an affected child. Magnetic resonance imaging, or MRI, is a more recent brain imaging technique that is rapidly gaining widespread use for identifying brain disorders. This technique uses a magnetic field and radio waves, rather than X rays. MRI gives better pictures of structures or abnormal areas located near bone than CT.
A third test that can expose problems in brain tissues is ultrasonography. This technique bounces sound waves off the brain and uses the pattern of echoes to form a picture, or sonogram, of its structures. Ultrasonography can be used in infants before the bones of the skull harden and close. Although it is less precise than CT and MRI scanning, this technique can detect cysts and structures in the brain, is less expensive, and does not require long periods of immobility. Finally, physicians may want to look for other conditions that are linked to cerebral palsy, including seizure disorders, mental impairment, and vision or hearing problems. When the doctor suspects a seizure disorder, an electroencephalogram, or EEG, may be ordered. An EEG uses special patches called electrodes placed on the scalp to record the electrical currents inside the brain. This recording can help the doctor see telltale patterns in the brain’s electrical activity that suggest a seizure disorder. How Many People Have Cerebral Palsy? It is estimated that some 764,000 children and adults in the United States manifest one or more of the symptoms of cerebral palsy. Currently, about 8,000 babies and infants are diagnosed with the condition each year. In addition, some 1,200 – 1,500 preschool age children are recognized each year to have cerebral palsy. Yes. Measures of prevention are increasingly possible today. Pregnant women are tested routinely for the Rh factor and, if Rh negative, they can be immunized within 72 hours after the birth (or after the pregnancy terminates) and thereby prevent adverse consequences of blood incompatibility in a subsequent pregnancy. If the woman has not been immunized, the consequences of blood incompatibility in the newborn can be prevented by exchange transfusion in the baby. If a newborn baby has jaundice, this can be treated with phototherapy (light therapy) in the hospital nursery. Immunization against measles for all women who have not had measles and are susceptible to becoming pregnant is an essential preventive measure. Other preventive programs are directed towards the prevention of prematurity; reducing exposure of pregnant women to virus and other infections; recognition and treatment of bacterial infection of the maternal reproductive and urinary tracts; avoiding unnecessary exposure to X-rays, drugs and medications; and the control of diabetes, anemia and nutritional deficiencies. Of great importance are optimal well being prior to conception, adequate prenatal care, and protecting infants from accidents or injury. Can Cerebral Palsy Be Treated? “Management” is a better word than “treatment.” Management consists of helping the child achieve maximum potential in growth and development. This should be started as early as possible with identification of the very young child who may have a developmental brain disorder. A management program can then be started promptly wherein programs, physicians, therapists, educators, nurses, social workers, and other professionals assist the family as well as the child. Certain medications, surgery, and braces may be used to improve nerve and muscle coordination and prevent or minimize dysfunction. As individuals mature, they may require support services such as personal assistance services, continuing therapy, educational and vocational training, independent living services, counseling, transportation, recreation/leisure programs, and employment opportunities, all essential to the developing adult. People with cerebral palsy can go to school, have jobs, get married, raise families, and live in homes of their own. Most of all people with cerebral palsy need the opportunity for independence and full inclusion in our society. Is Research Being Done On Cerebral Palsy? Yes. Active national programs of research are being vigorously pursued to prevent cerebral palsy and improve the quality of life for persons with cerebral palsy. The four organizations with major research programs are the United Cerebral Palsy Research and Educational Foundation in the private sector, and the National Institutes of Health, the Centers for Disease Control and Prevention and the National Institute of Disability and Rehabilitation Research in the government sector. – What are the factors that predispose the developing fetal brain to injury? – — Can these factors be eliminated or minimized? – What are the causes of injury to the developing fetal brain? – Can the developing fetal and newborn brain be protected? – What are the causes of developmental delays and failure to thrive? – Why are low birth weight in the full-term and the premature infant important risk factors for cerebral palsy? – Can cerebral palsy be diagnosed before birth and better diagnosed shortly after birth? – Which available treatments are most effective for specific disabilities of persons with cerebral palsy? – Based on new knowledge now available in the medical, surgical, behavioral and bioengineering sciences, what improvements can be made in the quality of life of people with cerebral palsy? – What are the effects of aging on a person with disabilities due to cerebral palsy? Founded in 1949, UCP is a nationwide network consisting of a central national organization, located in Washington, D.C. and over 100 independent, state and local non-profit affiliates. UCP is the leading source of information on cerebral palsy and is a pivotal advocate for the rights of all people with disabilities. In fact, 65% of the people UCP serves has a disability other than cerebral palsy. UCP is one of the nation’s most efficient charities, with a systemwide average of 85% of all revenues going to programs. UCP affiliates serve more than 170,000 children and adults with disabilities and their families every day. Together, with over 100,000 volunteers and an even larger number of professional staff, UCP serves people with disabilities and others, through the development of state-of-the-art programs, information and referral services, legislative advocacy, technology initiatives and research, and the delivery of a range of direct services tailored to local communities through programs such as assistive technology training, early intervention services, individual and family support services, and social and recreation programs. In addition, UCP provides supported living services, employment assistance and other supports as needed. What Is The UCP Research And Educational Foundation? The UCP Research and Educational Foundation is the nation’s principal non-government agency sponsoring research directly relevant to the prevention of cerebral palsy and improvement in the quality of life of persons with disabilities due to cerebral palsy and related developmental brain disorders. In its history of more than 50 years, the Foundation has been instrumental in eliminating two of the major causes of cerebral palsy, German measles and maternal-child blood type incompatibility. The Foundation is now focusing its attention on other remaining major causes such as low birth weight, prematurity, and the effects of maternal infection on the developing brain. It is also exploring the development of improved methods for mobility, communication and the general well being of children and adults with developmental disorders of the brain as well as the possibility of replacing lost cells in the brain. The Foundation also serves as the medical and scientific information resource for UCP, its affiliates, the clinical professions and the public.